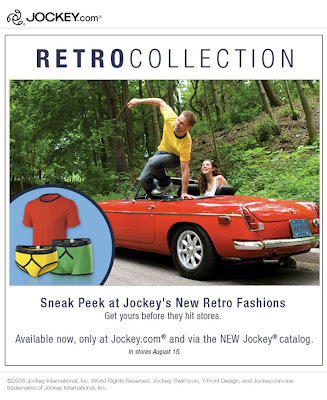 I just received this mailing from the folks over at Jockey, they have a brand new line of underwear with retro inspiration coming out on August 15. But as a special for online customers only, you can get yours now! Check it out now. ...And you've got 2 ixt coming out with their 'Retro' range in Sept i believe. Can none of these companies exercise any originality?